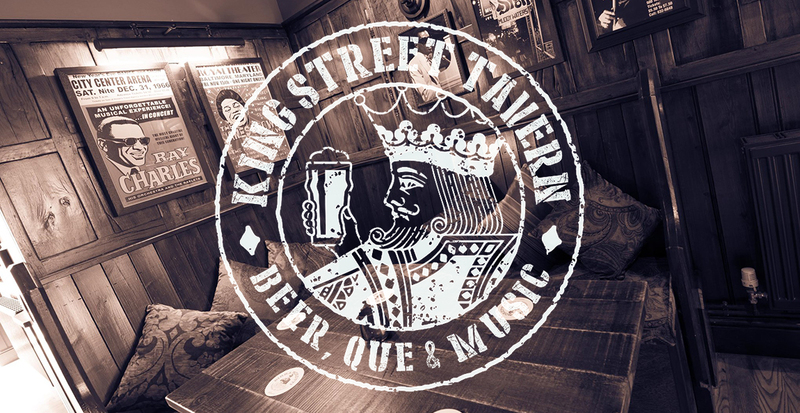 Housed in an 18th century pub in the heart of Southsea, The King Street Tavern combines our passion with authentic Smoked/BBQ Meats with great beer. With our focus on the rubs and the infusion of wood smoke our meats are cooked ‘low and slow’ to perfection and paired with our wide range of beers and ales. As the birthplace of Portsmouth’s first genuine Smokehouse The King Street Tavern also boasts a fine selection of big and punchy craft beers, with carefully selected wines and spirits (including world whisky’s, gin’s & rum’s). Our team of friendly and well informed Staff bring you considered hospitality and great service in a classic yet vibrant atmosphere. Eat, drink and let the good times roll! The main staple session ale, our IPA is an easy drinking all-round ale and is ideal for any pub’s session drinkers. It is light copper coloured with delicate malt aromas, cereal notes and a lingering ﬁnish. This is a traditionally crafted India Pale Ale with a malt-led ﬂavour and character. On the nose, our IPA provides a delightful malt aroma. On the palate it delivers clean and refreshing light malt notes combined with the classic strong hop ﬂavour, and ﬁnishes with a crisp bitterness. Wadworth’s own pale golden ale with citrus and hop aromas makes this an ideal choice especially when served cool. A great beer for those new to ale, it’s brewed with Pale Ale malt and four hop varieties. This is an easy drinking yet full ﬂavoured golden ale created using a blend of classic and New World hops. A great beer with food or savoured on its own. Its zesty citrus aromas overlay a heart of classic hoppiness. The zesty notes follow through on the palate backed with a light maltiness and the ﬁnish is crisp, tangy and refreshing. In 1870, our brewery was founded by two friends in Amsterdam. They brewed a new, Bavaria-style lager beer that became an instant favourite. Our classic, golden Amstel Beer, with its very distinctive and mildly bitter taste, has over the years become well known beyond the borders of its native country. The quintessential Belgian blonde ale against which all other blondes are compared. It is made in Bruges by the Halve Maan Brewery using 4 different malts to give it a distinctive big body and sweet malt character, while the unique yeast adds notes of banana and plum. The beer has a crisp, clean finish thanks to the hops that also bring a dried-fruit-like edge to the beer. A refreshing spiced, bright gold beer with a real flavoursome zest. It is brewed using fine yeast according to a traditional recipe and, of course, in strict accordance with the Bavarian Purity Law. Made from perry pears and fullly matured in old oak vats to develop its strength and traditional character. Free from all artificial colouring, flavouring and sweetening it retains its natural pale colour.